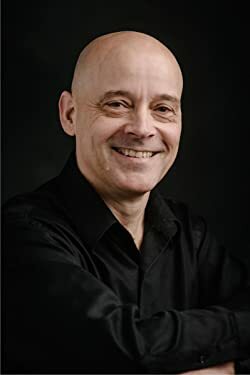 Gerald Brandt is an author of Science Fiction and Fantasy. 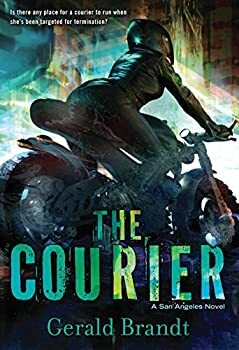 His first novel, The Courier, was listed by the Canadian Broadcasting Corporation as one of the 10 Canadian science fiction books you need to read. By day, he’s an IT professional specializing in virtualization. In his limited spare time, he enjoys riding his motorcycle, rock climbing, camping, and spending time with his family. He lives in Winnipeg with his wife Marnie, and their two sons Jared and Ryan. CLICK HERE FOR MORE STORIES BY GERALD BRANDT. The Courier (2016) was recommended to me by a bookseller. She hadn’t read it herself yet. It was recommended to her by a friend, she said, who said it was YA and “kind of like William Gibson.” My first impulse in rating this book was to base my rating on the gap between the “William Gibson” statement and my experience of the book. If I had done that, this would be a 2-star review. That would not be fair. Nothing on the cover or interior review snippets compares this book to Gibson.